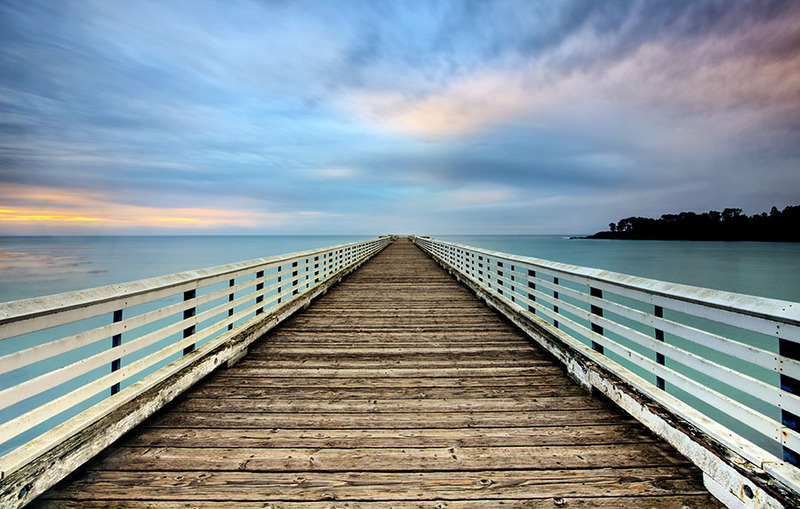 Nestled in the small cove protected by San Simeon Point, and somewhat out of sight of the cars passing nearby on Highway 1, this pier is located in the William R. Hearst Memorial State Beach. I can still recall the perfect morning breeze with the small scent of salt. The Road to Paradise is a Limited Edition print of only 300 images. Photo © copyright by Scott Papek.